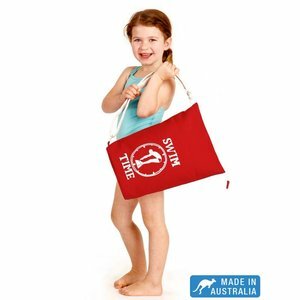 Terry Rich Australia red swim bags for Kids. Perfect Size for swimming lessons or a quick dip at the beach. 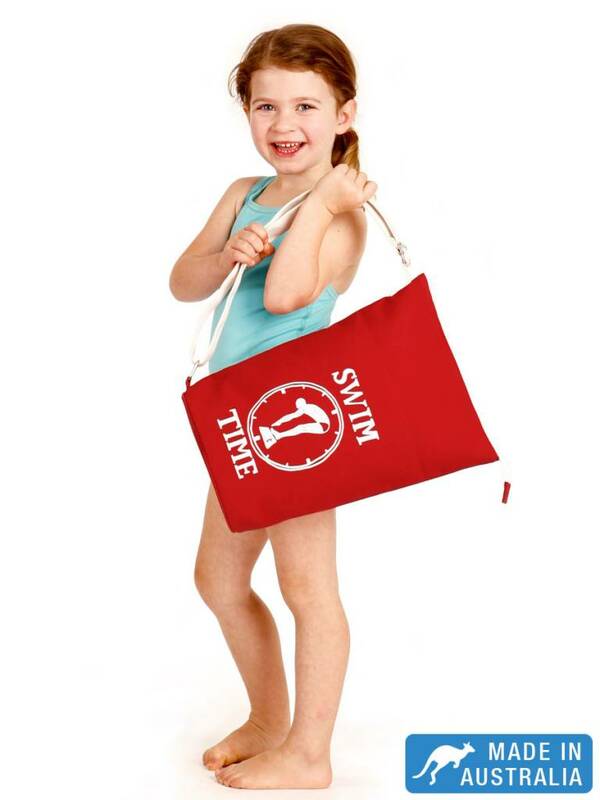 The swim bag is easy for kids to hold. Made in Australia. 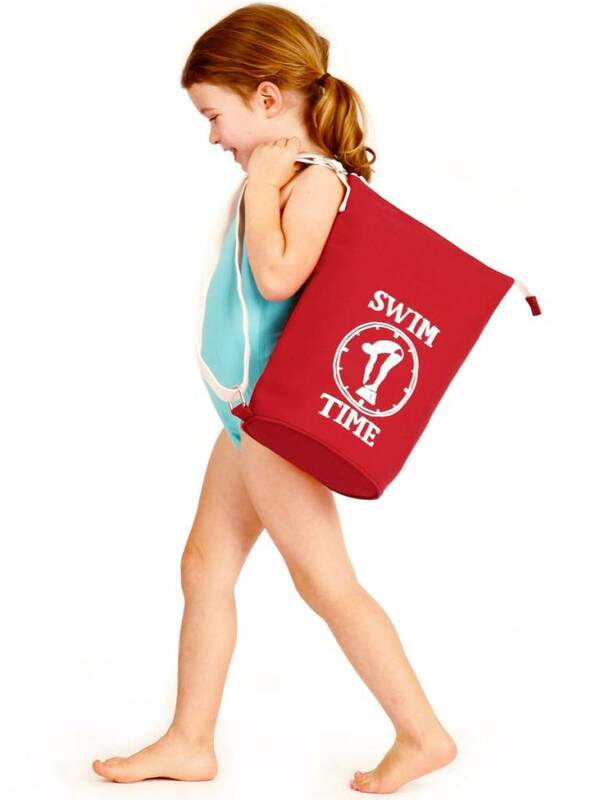 Exclusive and sturdy Terry Rich Australia swim bag for children in Rococo Red. 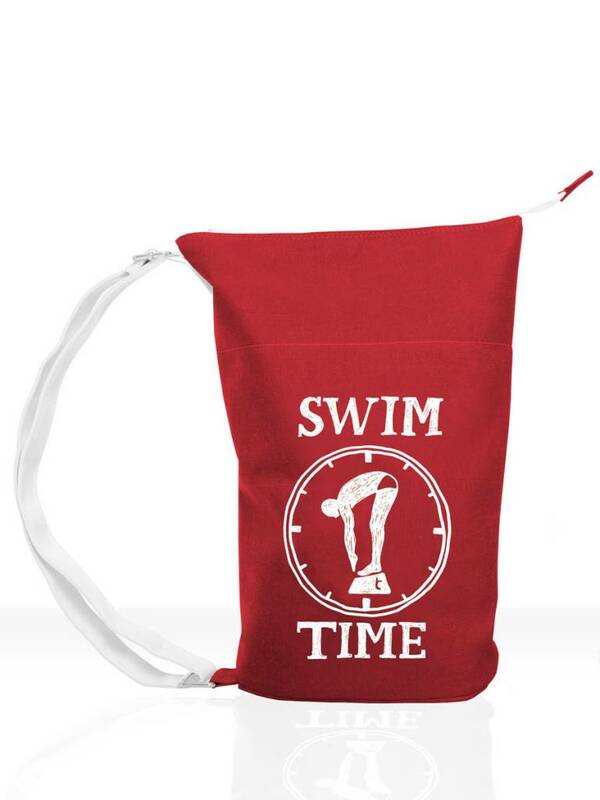 This swim bag has the perfect size for children's swim wear and beach wear and can easiliy be carried by kids. All Terry Rich Australia swim bags for children are made of sturdy canvas and have a handy zipper to store the belongings safely. These beautiful bags are 'Made in Australia'.